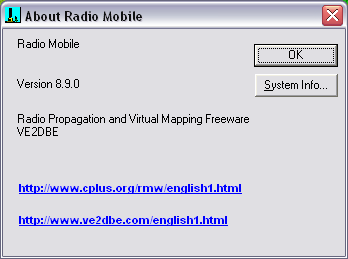 Information about the version of Radio Mobile. Additional you can find information about your system. The 'System Info...'-button calls the system info program from Windows. Both main websites are mentioned wher you can find information from the author of the software, VE2DBE, about Radio Mobile in French and English.